The Brazilian government has established a National SDG commission including 32 representatives from civil society and government. It also created a webpage on which the actions to implement the SDGs are being presented. In order to encourage, promote and bring visibility to practices that contribute to achieving the SDGs in Brazil, a Brazilian SDG Award has also been established by the Brazilian government. The Brazilian SDG Award aims to promote practices that contribute to the achievement of the 2030 Agenda in Brazil. The award will also contribute to the consolidation of a “good practices data base ” that will serve as a reference in the implementation and dissemination of the 2030 Agenda. Global indicators monitoring standardization is conducted by the Brazilian Institute of Geography and Statistics (IBGE), which represents Mercosur’s countries and Chile in the Inter-agency and Expert Group on the SDGs Indicators (IAEG-SDGs). In addition, the Brazilian Stock Market (B3) is promoting actions to engage business. B3 launched the initiative: Report or Explain for the Sustainable Development Goals (SDG) – to improve transparency of listed companies strategies and actions with regard to the SDGs. Business has been working to continuously integrate the SDGs into the business strategy, including larger companies that have already been following the guidance outlined in the SDG Compass. In particular, companies have been looking to identify priority SDGs to be worked at, establish goals and metrics and disclose progress as part of the corporate reporting cycle. On the other hand, medium and small enterprises still have to increase awareness around the SDGs and their strategic importance. More work needs to be done to engage these companies and help them pave the way to a more sustainable future. SDG communication is another area that has already evolved but needs to accelerate. From 443 companies listed in the Brazilian Stock Market (B3), 147 answered the survey regarding the SDG reporting (Report or Explain to the Sustainable Development Goals) and 60 (13%) informed that they already consider the SDGs in their report. 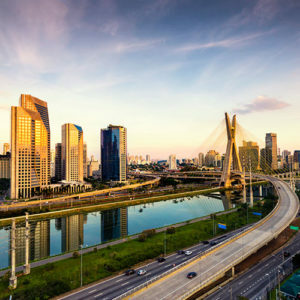 The Brazilian Business Council for Sustainable Development (CEBDS) has been engaging business with the SDGs mainly through publications, trainings and social media information, engaging with the government and promoting awareness to society as a whole. We promote the use of the SDG Compass, which provides guidance for companies on how they can align their strategies as well as measure and manage their contribution to implement the SDGs. Based on this methodology, we offer workshop in which the participants can discuss how to connect business strategies with global priorities. On the advocacy side, we have been working closely on all different levels of the Brazilian government: federal, state and municipal. In 2018, during the presidential elections, a 10 sustainability proposals agenda was elaborated by CEBDS member companies with clear and direct guidance from their CEOs to be presented to the candidates. Inspired by WBCSD’s SDGs CEOs Guide, the Brazilian CEOs specifically requested that the document for the candidates was aligned with the SDGs as a well-established communications platform. As such, it was the first and only document prepared for the candidates based on the SDGs. The agenda was launched at “Sustentável” before 500 people from all different segments of society, a free of charge international sustainability event, organized in Brazil by CEBDS every two years. In 2019, we will work with our member companies’ CEOs to continue advocating to move towards implementing the proposals with the new government. There is still space to be occupied and much to advance. We are working to integrate the National SDG commission and to participate in the elaboration of the National Voluntary Report. The opportunity to promote significant change cannot be wasted.